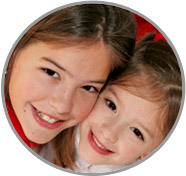 Guarantee a safe and fun summer for your children by hiring a Lancaster County Summer Nanny through ABC Nanny Source! Lancaster County Summer Nanny Jessica’s high energy and love for children would make her perfect for your family! “Jessica demonstrated initiative, excellent organizational skills, and maturity! She was fully capable of maintaining the high degree of participation from her students that her cooperating teacher had instilled in them. Jessica's enthusiasm and ability to pace instruction exceeded that of the usual teacher candidate. Her personality in the classroom is upbeat, and she quickly established rapport with her fifth grade students. Jessica's cooperating teacher, who has mentored many student teachers, gave her a full range of responsibilities early on in her student teaching experience. She demonstrated an excellent command of the content, managed students' time on task with expertise, and whenever possible, embedded literacy skills into science and social studies lessons. She checked student comprehension when reading a social studies text by referring consistently to captioned illustrations, charts, maps, and vocabulary; she utilized a rubric to evaluate a poster project. In science, Jessica created information packets about various cities around the world and required students to write and organize a fact sheet as well as locate and record daily weather data from a bookmarked website. In Math, Jessica taught the advanced section of students from three homerooms. In Language Arts, she devised creative learning games as an alternative to spelling assignments and taught a balanced literacy program that included the Houghton Mifflin Trophies series, grammar and creative writing lessons, a daily edit, reading aloud quality literature, and teaching guided reading groups. Jessica found creative and challenging ways to motivate her students. She paid close attention to the importance of active participation, utilized partner and teamwork, and assigned interesting and varied projects. More than most student teachers, Jessica paid close attention to students with special needs and English Language Learners. She implemented effective inclusive strategies. For seminar, an assignment entitled Descriptive Review of a Child is required. The paper is an in depth journal about the context in which a typical student learns, his or her learning preferences/interests, and an analysis of the student's work. The goal of the assignment is to prepare a student teacher to understand factors that contribute to a child's progress. Jessica completed this assignment in a thorough and insightful manner. Jessica has been a dependable, hardworking, and capable student teacher. I recommend her very highly and without reservation as a Lancaster County Summer Nanny! Jessica will be a wonderful role model for children! Please call 717-221-1020 today to speak with a placement counselor and start your search for the perfect Lancaster County Summer Nanny!